Archives for "Poolside Bar" category. For many years our Bitter at the Poolside Bar has been Tetley's Smooth. Obviously a draft beer, not traditionally hand pulled keg beer. Primarily because hand-pulled beers don't travel well. This was quite a big decision because we have quite a lot of bitter beer drinkers, especially those from the North. Our home-base has always been in Yorkshire so many of our guests are from the 'Northern Power House'. After much debate, testing and tasting we opted for Caffrey's. 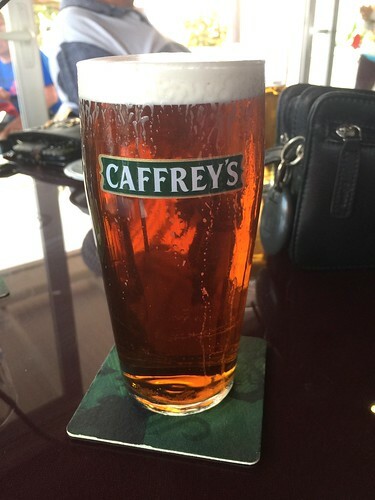 We had a fairly limited choice but settled on Caffrey's because it has a good flavour, travels well and pours right. Our customers feel that it is pretty good! However don't leave it to us to tell you, come and try it. It took about a week to do some improvements to the Poolside Bar at Club Olympus. The old Bar area needed a tidy up as it was getting tired and had broken tiles on the bar surface. We also needed to extend it a little to make it more user friendly and to provide a Service Area for the team to dispense drinks for the outside tables. This has all now been done and the bar is operating at full blast. A couple more fixed bar stools need to be added and they are being fabricated right now. We did all the work in-house except for the Bar top which is a now a granite finish fitted by specialists. 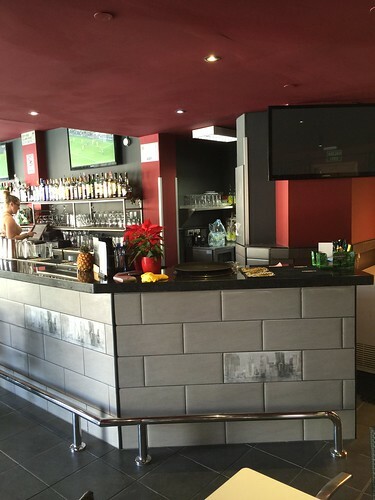 An important part of the work was to open the lower end of the bar for access by the staff. It meant digging a trench in the floor so that we could bury Beer lines and power cables. It has all been done succesfully. And.....our Hugo is very pleased! 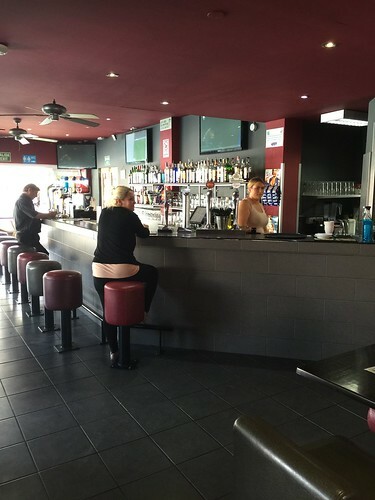 We also replaced all the bar furniture with lovely brand new, shiny, tables and chairs and it looks great. So we are ready to provide you with a great winter service down at the resort! 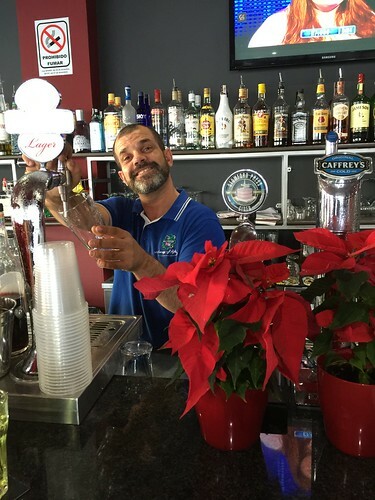 Starting on Monday the 7th of December we are beginning some alterations in the Poolside Bar. 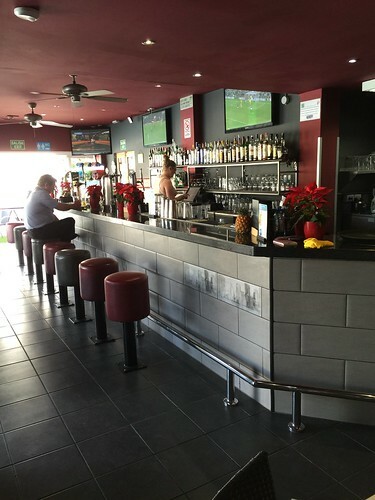 We are removing the existing, literal bar and replacing it. The bar itself will stay open. Temporary beer pumps will be in place and all drinks and services will continue as normal. The Kitchen remains unaffected and food will be served as normal. While we expect a small amount of disruption we will keep it to a minimum. The daytime entertainment with Gordon on Tuesday's and Fridays will also continue. We think the work will take about a week! Our Charlotte is unfortunately leaving us today! 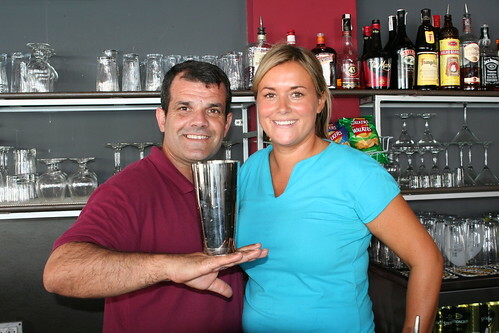 She has been one of our star people for years and we are desperately upset to lose her from the Poolside Bar. Char is going back to the UK to study and we at Club Olympus would like to thank Charlotte for her hard work, dedication and fabulous imput to the Club Olympus family. We will truly miss her and we know that you will too. All of us at Club Olympus wish Charlotte the absolute best for the future. With her talent, wit and personality, she will reach the top rung of the ladder in whichever profession she chooses. Cheers and all the best Char from us all. Louise and Hugo have declared summer fully up and running at the Club Olympus Poolside Bar. After completing several specialist cocktail courses Hugo is ready to rock! 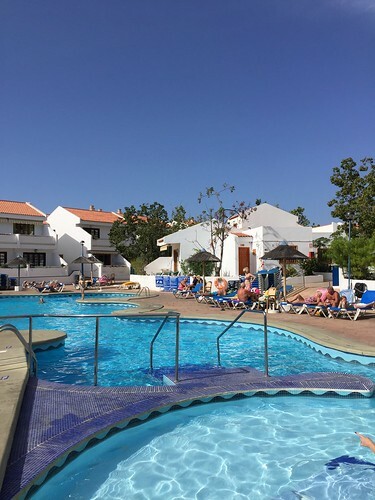 The resort is busy and with fabulous weather here in Tenerife everybody is thoroughly enjoying the Club Olympus hospitality. Pictured above are Tanqueray Pink Gin Fizzes, the pink in this case coming from dried summer fruits. 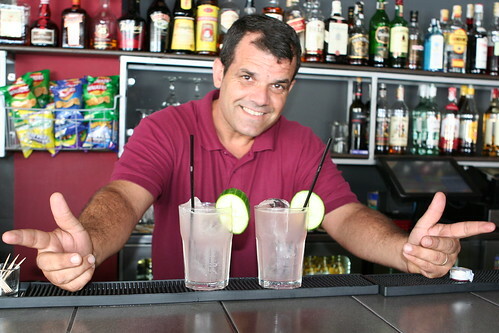 If you want a holiday cocktail....you know where to come!! !